WE ARE A COMPOUNDING PHARMACY! DO YOU NEED TO RENT A WHEELCHAIR? Or help getting fitted for a knee brace? Go To a Pharmacy That Cares About You! Slater Pharmacy is your local full-service pharmacy. 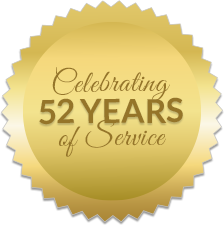 We are family owned for over 50 years and proud of our heritage of helping customers with their medical and pharmacy needs. From medical equipment sales or rentals to custom drug compounding, Slater’s can satisfy your pharmaceutical requests. To best serve our customers, we have daily hours all year long, including limited hours on major holidays. You don’t need to panic or drive long distances elsewhere to get your pharmacy supplies, because Slater Pharmacy is open every day to serve you! Conveniently located in Lake Ronkonkoma NY, Slater Pharmacy is ready to help you with your medical or pharmacy needs, so stop on by or contact us today!